J is for Joelle: The Gratitude Project. It's been such a crazy few weeks that I have not been writing much. Who would have thought selling and buying a home could be so stressful...ugh!!! I have been working on a side project for this little blog of mine that I am pretty excited about, but before I get too ahead of myself I thought I would tell you how it came to be. I have always kept a journal. Since I was 15 I have written my thoughts and feeling down in books. I could not tell you why or how I began, but I always have. Writing was always the way I felt better. I find it therapeutic to be able to look back at experiences I have had and see how far I have come. Perhaps its the fact that I have such a bad memory that having experiences written down has been a god sent when trying to remember dates and events. Not all journal entries are pleasant or happy. Life has not always been roses, but that is the beauty of journals. you get to remember everything. The good the bad and the ugly. I even have a journal from when I was in highshool filled with stories of what it was like dating and the dreams I had for myself. What direction I thought my life would take and where I would end up one day. One specific time in my life when things were not going well was a year after my wedding. It was in June 2000 and I was terribly unhappy. I wasn't loving my job, my husband was away at school all the time and the big one, I wasn't happy being married. I was watching Oprah one day and she introduced the idea of living Gratitude. On her show that day, she spoke of gratitude. How doing something as simple as writing down three things you were grateful for everyday would completely change how you felt and saw the world. She promised that it would make me feel happier and that things (although bad things wouldn't stop happening) I'd be more able to handle them and manage my feelings. I felt it was a really tall order. But, I trusted Oprah. She had not failed me yet. She had been correct about my ill fitting bra a month or so previous, so she had some street cred I was willing to heed. 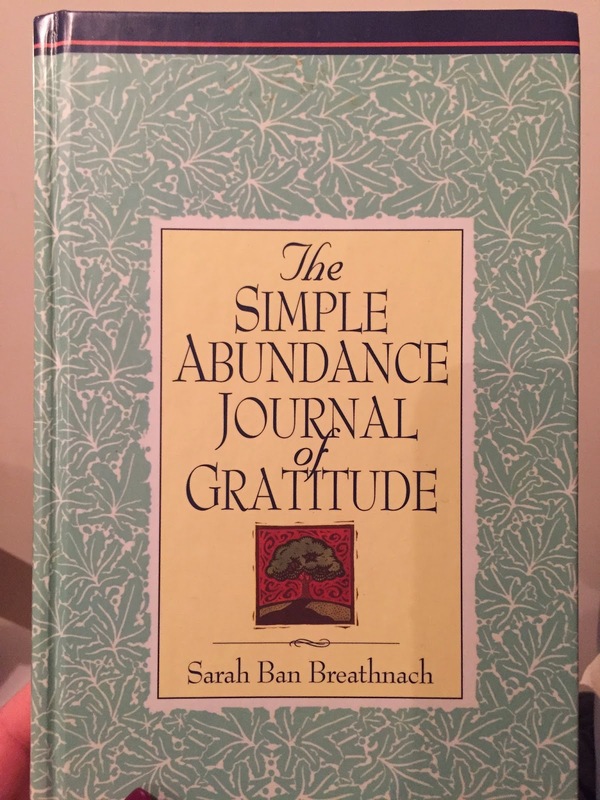 I walked down to the Book store the very next day and bought a gratitude journal. I had no idea what I was doing, but I was willing to give it a shot. What did I have to lose? I opened the book, wrote the first paragraph and I scared myself. I wrote about how depressed I was feeling, how unhappy I was with my job and my marriage and that I had even contemplated hurting myself..but how I was willing to try. "I am willing to try anything for one month. I don't want to feel this way any more and I need to do something...so here goes"
At first it was so hard! Trying to think of one thing that I was grateful for seemed like climbing a mountain, let alone three things. At night I would have to sit for almost an hour and try to think back on my day and everything that happened during it. "I can't say that because I was so angry" or "I would say thing but so -and -so is an idiot and said this to me"
It was like I allowed others to constantly dictate my moods and outside sources controlled my days. Then, after a while, finding things I was grateful for didn't seem like such a challenge. Over time I would think about gratitudes first thing in the morning and try to find things throughout the day to write, that way I wouldn't forget. Some days it would take ALL DAY to find one thing to write. But after a while it got easier. I started noticing more and more things that made me feel grateful. Over the next 6 months I was able to write 4 things a day. After a year it seemed like good things were happening in an over abundance and I had more to write down. 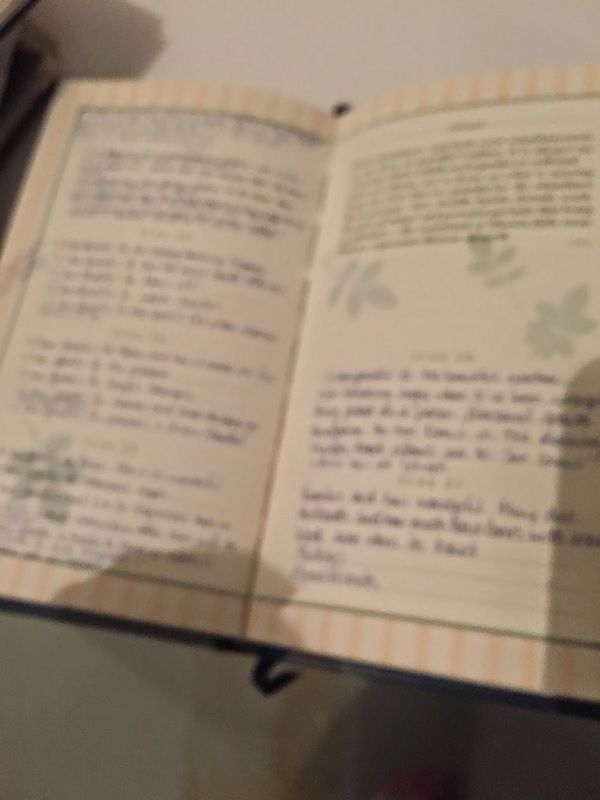 Some nights I was so excited I couldn't wait to write down my gratitude's. I had hit the jackpot so to speak. It eventually dawned on me, I am not having more good things happen to me during my days. My days are relatively the same as they always have been, the change is simply how I am choosing to see things that happen to me. And THAT is the promise Oprah had made me so long ago. When we are grateful for the times we have and for things that we experience it changes the way we see everything. It changes the way we interact with others, because you are better able to empathize and relate to their struggles. You no long compare or compete with them over who's life is harder, you just become more grateful for what your life has. For the years that followed I have been writing in my journal entries and (over time and with advancements from journals with pen & paper to computers and my blog) I have carried on with my gratitude's. At the end of every entry I write three things I am grateful for. Some times the things I am grateful for seem simple and other times it brings me to tears while writing. Being grateful has changed the way I see things. My friend use to write her gratitude's on her blog too and I always felt so uplifted when I would read the things she wrote. It always made me feel like I wasn't alone. Like someone understood, especially when the things I were grateful for maybe seemed not very nice. I was chatting with Jason a few weeks ago and he had suggested that maybe asking people to send in what they are grateful for might be something that would be fun and a way that might help readers of this little blog feel more connected. While sharing what makes you feel grateful, maybe that gratitude might lift the spirits of another person, a total stranger and help them through a situation that seemed endless. 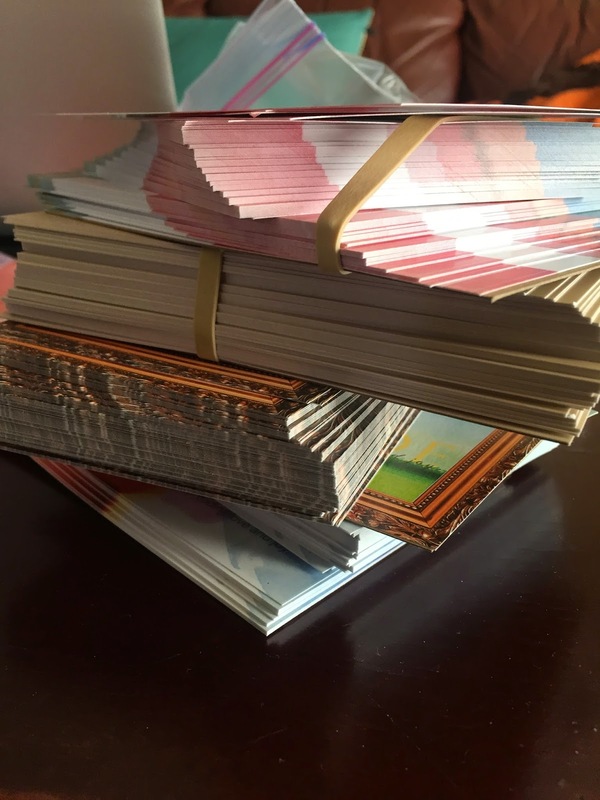 Here are the Gratitude cards. I made up (with the help of my talented friend N & L) these postcard size things that are eye catching and fun. On these cards I have explained what I would like the finder to do, which is, share with me three things you are grateful for (write them anywhere on the card) and then mail it back to me so I can share it with others. No name needs to be added, I respect peoples privacy, it's the gratitudes I want. I started putting them in places in hopes the right person would see it, be curious, and pick it up. 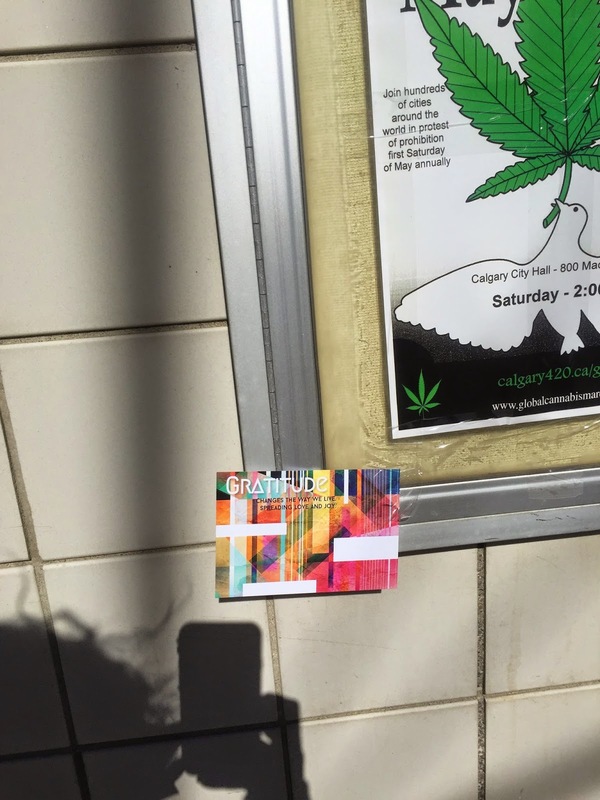 Calgary, Strathmore and some places in Edmonton have these little beauties lovingly placed in and around them. I am not too sure what will become of this little experiment, but the idea of sharing happiness and gratitude can't be a terrible one, I hope. If you see one of these laying around, or you want to send me your gratitude's in your own way, I'd LOVE to hear them. Also, if you are going on a trip and wouldn't mind taking a card or two to place somewhere to pass it along I'd be ever so thankful. I am grateful for all my friends who have supported me and my weird ideas. I am grateful for the women who help me with my kids and make my life easier. I am grateful for the new adventures that are fast approaching. From one blogger to another, happy writing.